The Powerbot SDN doesn't have categories for scripts. I'll be making a bunch of small scripts in the near future, this will help users know it's all written by me and prevent cluttering the SDN. You're right, but frankly it's quite terrible. I'll clarify in a github issue. Great script! Let's hit 99 fishing! menu for astral rune script opens when script is first launched. if this menu is closed, the whole script stops running even though the other menu stays up if you close the astral menu immediately. Do you have a hotkey setup for magic? 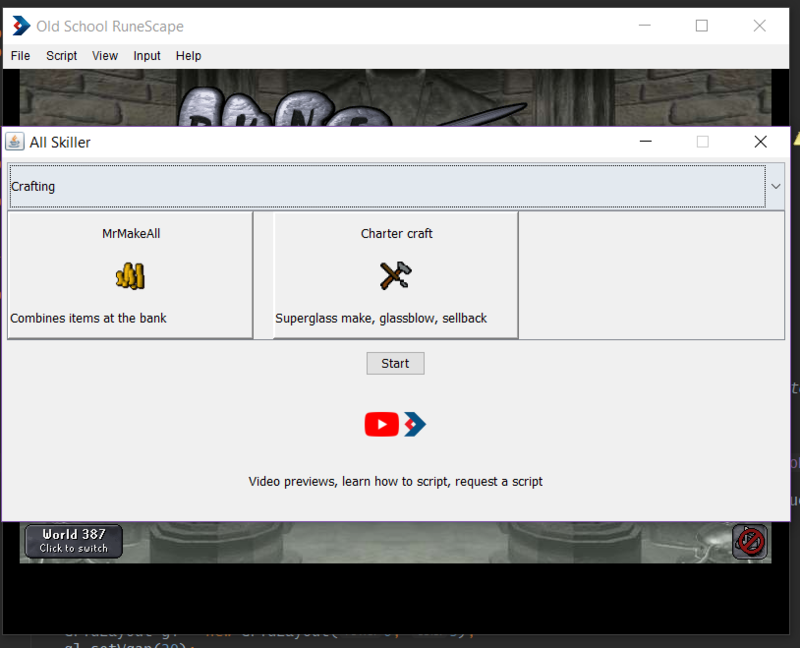 When alching when it clicks the skills tab to hover it never switches back to the inventory or mage book, even though I have the hot keys set as f1, f2. Can anyone help with this or let me know if your having the same problem? Or am I doing something wrong with the hotkeys? other than that the script runs great. Edit- worked it out, I just turned the skill tab down to 0 so it wouldn't go there anymore, duh. Running flawless now. yesterday alching worked flawlessly, but today it somehow cannot click the spell, why? Same thing, there was no update I don't think, not sure whats going on. it is something with inventory and spellbook swith interval.